I have a thing for bags. All shapes and sizes! 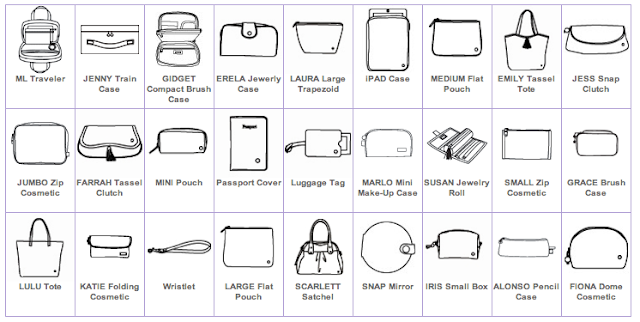 When I pack for a trip, I use multiple bags to keep everything organized. I can go home for the weekend to Tulsa, and my family laughs at the number of bags I bring for two, or even three days. Stephanie Johnson is a perfect fit for me! I love how you can mix and match your styles and colors! Stephanie Johnson sent me this bag from the Serengeti collection. I Love it! If you have followed me for any amount of time, you know I also have a love of jewelry! Bracelets more specific! This bag is just right to carry and keep organized all my lovely little arm parties!! You never know what mood you might be in when you arrive at your destination, so choices are manditory! I love how there are two see thru pockets to seperate the more delicate pieces from the chunky fun! 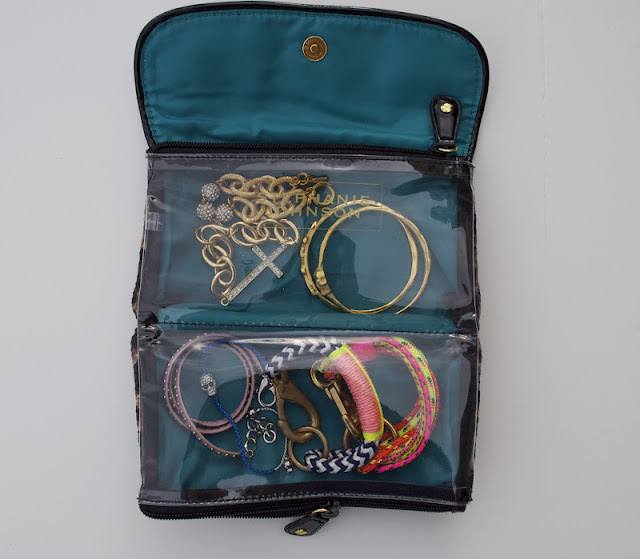 It is also the right size to drop in your carry on, (My jewelry always goes in my carry on, I would hate to tempt someone with a sticky finger problem in baggage handling!) It is always fun to see the face of the security person when my bag goes thru the xray machine. The amount of jewelry almost always ensures that there will be a second hand search thru my bags! Just look at all the different choices available. 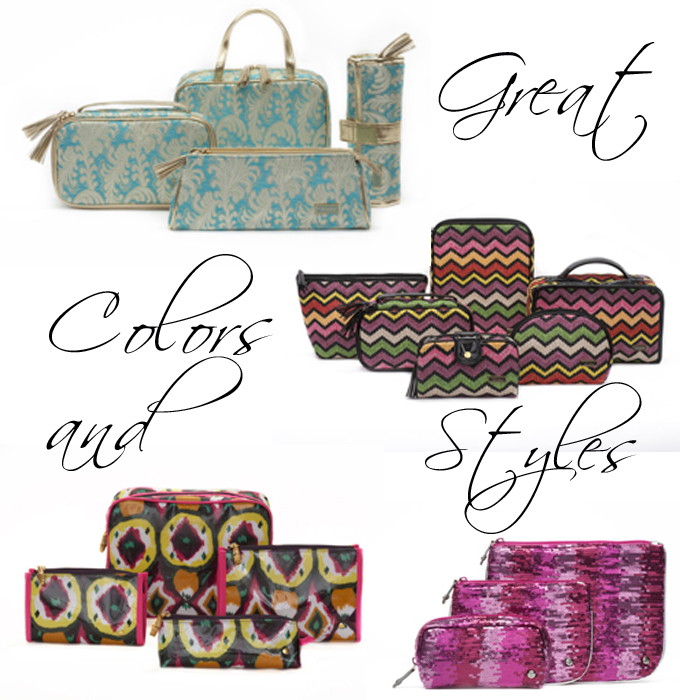 A few of my favorite collections currently at Stephanie Johnson. 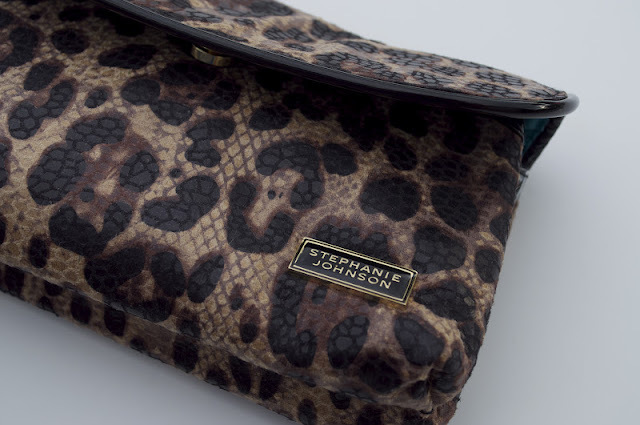 Do you have any Stephanie Johnson bags? 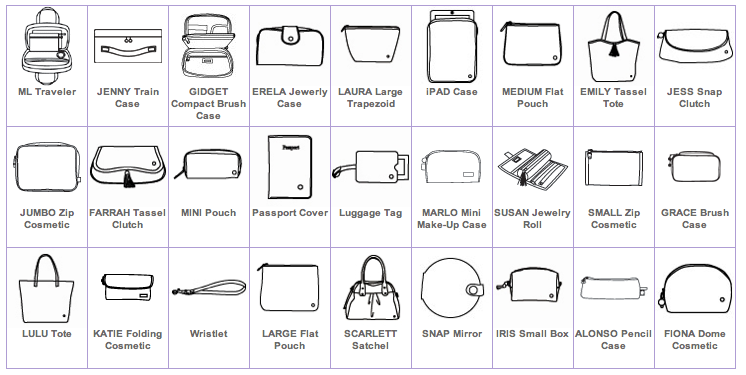 Do you use them for other things besides traveling? Let me know if you have any great ideas for how you use yours!! I was gifted my bag from Stephanie Johnson however, the views and opinions are strictly my own. 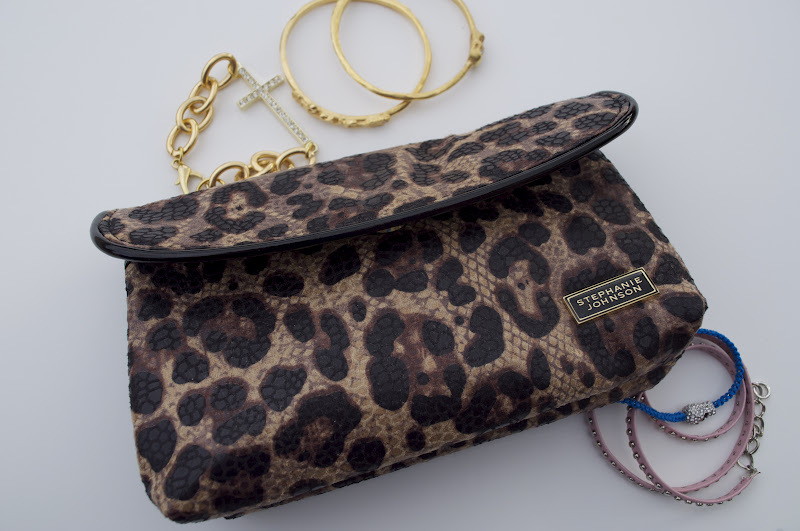 love this for holding bracelets! i think i need one in this style too!! & these bags are auhmazing!